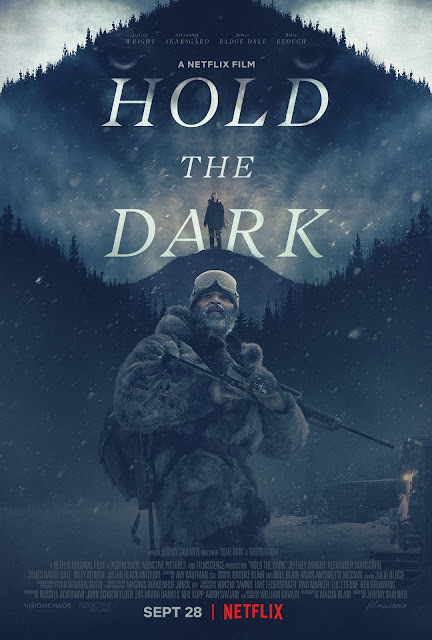 With Hold The Dark(2018) Jeremy Saulnier continues the successful string of films he started with Blue Ruin (2013) and Green Room(2015). As with his other films, HTD is another violent tale of vengeance and survival but the tone this time around is moodier and bleaker than ever, owing much to director Sam Peckinpah. Saulnier's constant collaborator (as actor) Macon Blair penned the screenplay (and has a small role) in this story of a wolf expert (Jeffrey Wright) called to Alaska by a mother (Riley Keough) to track down the wolves who took her son. Her husband, played by Alexander Skarsgård (in his second Netflix film of the year), returns from the Iraq War and he's all kinds of disturbed. Fun connection: Alexander's father Stellan starred in the excellent 1997 Norwegian crime thriller Insomniawhich Christopher Nolan repurposed to Alaska for his 2002 version. 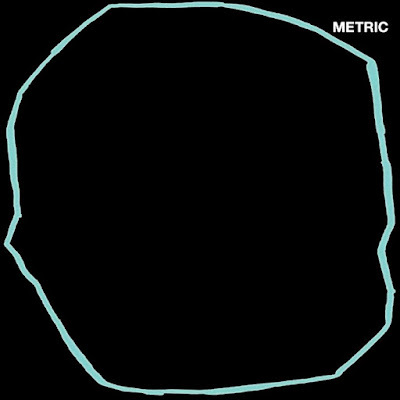 Metric's seventh studio album Art Of Doubt (2018) is a solid batch of new songs that will feel familiar to long time fans who've come to appreciate their sound—Emily Haines's anthemic heart-on-sleeve vocals and spacious synths, James Shaw's crunchy arena rock guitars, bassist Joshua Winstead's driving, growling basslines, and Joules Scott-Key's robotic drumming. 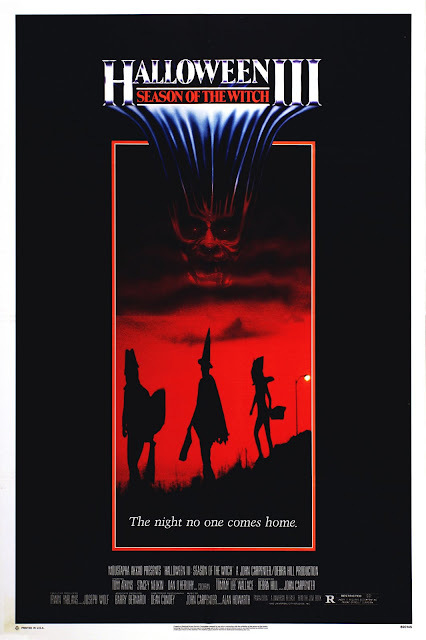 Producers John Carpenter and Debra Hill and writer/director Tommy Lee Wallace decided to take a different approach with Halloween III: Season Of The Witch(1982)—instead of delivering another vehicle for that unstoppable boogeyman Michael Myers, they opted to make a Twilight Zone/Richard Mathesonesque comment on consumerism and the mindless nature of the American public. While the film bombed at the box office and Myers was reinstated 6 years later in the fourth film, HIII has gone on to become a cult classic with definite replay value. 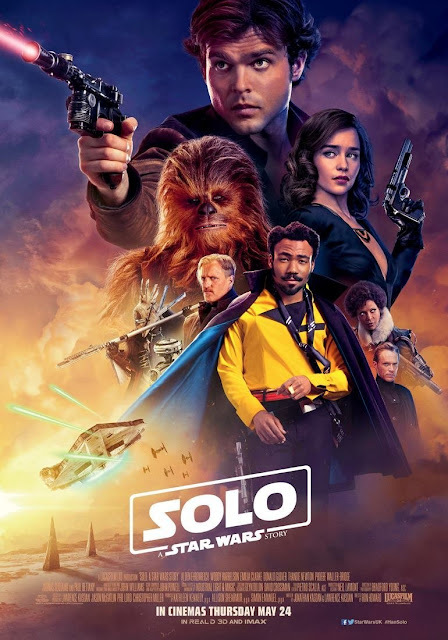 As live action Star Warsstandalone ("Story") films go, Solo (2018) is not as good as Rogue One(2016) but it's definitely more fun, more traditional, and it sits well within this universe. The so-so: despite "gun-for-hire" director Ron Howard purportedly reshooting 80% of the film, it doesn't feel hacked together, per say, but it still feels rushed at times. The action scenes unfold in very familiar ways. While some of the CG looks excellent, other scenes felt too cartoony for me. I also thought the deaths of a couple of characters lacked proper emotional weight. Additionally, there isn't a strong villainous presence in Solo—maybe that was intentional to focus on our main character, but it still feels off for a SW film. My final and possibly biggest nitpick: the introduction of the Millennium Falcon felt incredibly average. 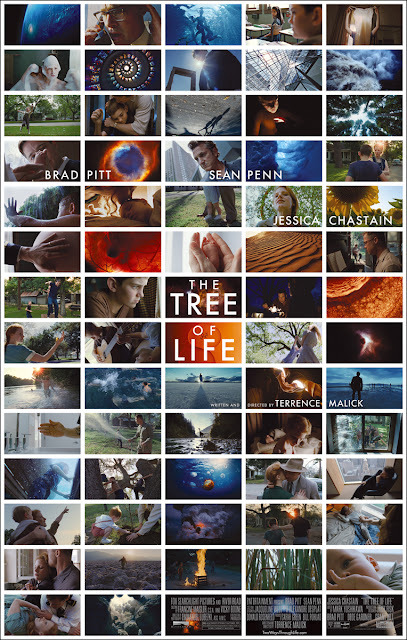 Terrence Malick's non-traditional narrative style has perhaps never been put to better use than in The Tree Of Life(2011), which is truly a visual poem, a cinematic dance. A poem with so much to behold—Jessica Chastain's impossibly angelic beauty and motherly grace, Brad Pitt's tumultuous jealousy and fatherly anger, the three boys' individual quirks, the naturalistic performances, the sumptuous combination of existing classical pieces with Alexandre Desplat's subtle score, just to name a few things. Mistress America (2015) is an hour and 24 mins long and moves at a blistering pace. At first I couldn't stand Greta Gerwig's character and by the end I wouldn't say I fell in love with her but she grew on me. She's one of those New York people that "does" a whole lot but doesn't really "do" anything and just seems to have money to do it all (like so many characters in Noah Baumbach films). Lola Kirke is excellent as a fledging writer and college student. The dialogue is sharp and quite funny at times. There are some scenes that feel very staged but they're still very enjoyable. It very much feels like a Noah Baumbach film. 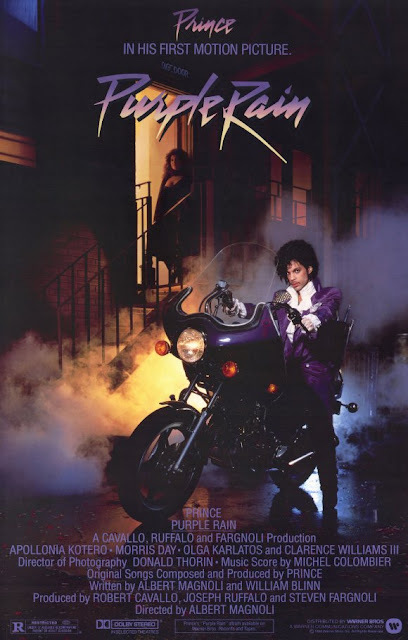 Full disclosure: I didn't grow up with Purple Rain(1984). I only saw it for the first time 2 years ago for a special theatrical screening after Prince died. I also can't claim to be a huge fan of The Artist—not because I don't like his music a lot, just because I don't know much outside the hits and a few scattered songs (and his discography is extensive). As a film, the semi autobiographical Purple Rain has a lot of flaws—it's clunky, it's cheesy, and the acting isn't the best. The theme of domestic abuse crops up a lot—The Kid's home life is pretty dour and it's on one hand sad and on one hand perversely touching to see his mother and Apollonia stick by these abusive men. Because let's face it, The Kid is a major jerk in this film—taking out his aggressions on his girl and his band. I'm not really sure that he does anything to redeem himself either, outside of finally letting the girls in his band play their song. 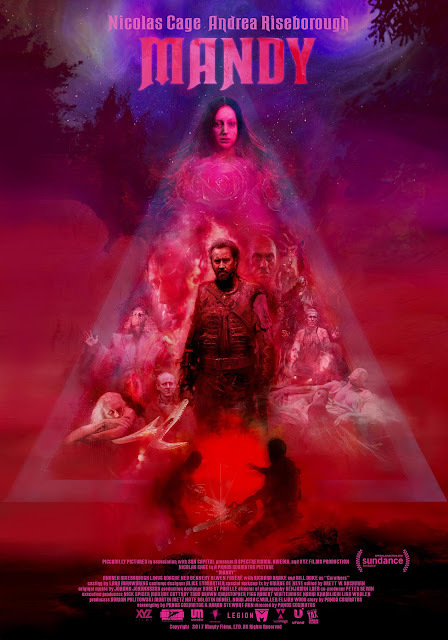 Mandy(2018) is a hallucinogenic fever dream that blends Lynch with Heavy Metal, a revenge fantasy of two halves—one tender and tragic, the other savage and stupefying. Even though it's slightly more narrative than Panos Cosmatos's debut film, Beyond The Black Rainbow (2010), I liked it a bit less. I can't quite explain why. For a film as weird as this, it somehow still felt a little too familiar. That could be because of the elements involved, things that seasoned b-movie veterans have seen before: beheadings, self-aggrandizing cult leaders, dueling chainsaws. 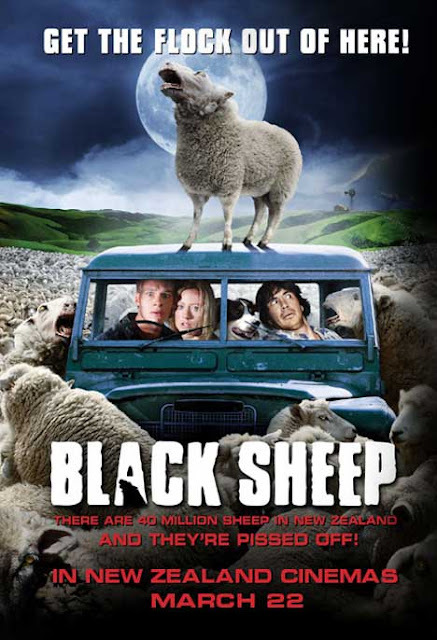 Black Sheep (2006) is a fun little flick with farcically drawn characters, clearly influenced by and indebted to Peter Jackson's Bad Taste(1987) and Dead Alive(1992), Sam Raimi's Evil Dead films, and John Landis's An American Werewolf In London (1981). Sheep tries a bit too hard to nail its tone and doesn't fully succeed but it's got some great gore gags and goes down like a Sunday afternoon sandwich, familiar enough to tide you over until something more satisfying comes along. 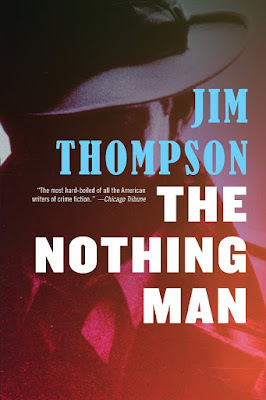 Clinton Brown, the protagonist of Jim Thompson's novel The Nothing Man (1953), is a neurotic, internally-struggling, violent male narrator to rival his character Lou Ford (of The Killer Inside Me(1952) and Wild Town (1957)). As with Killer, it's hard to relate to our lead, as he commits one shocking act after another, but we the readers can't turn away, instead turning the next page to find out which direction Clinton will careen next. 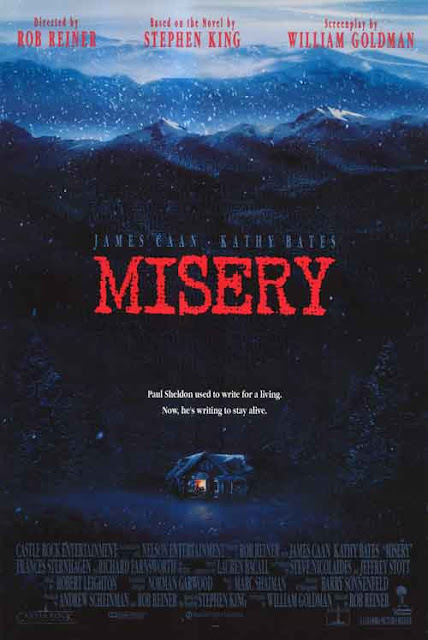 Misery (1990) is one of those films that is right up my alley but that I only managed to watch for the first time now. I still haven't read the book but then again, I haven't read nearly enough Stephen King books. I know I'm definitely in the minority here—this film seems to be one that most people have seen, whether they are a horror fan or not—so I'm glad I finally remedied this glaring omission in my film watching history. It's interesting how "hot button" films like this age—how you process and reevaluate them at certain points in your life and based on the zeitgeist and politics of the time. 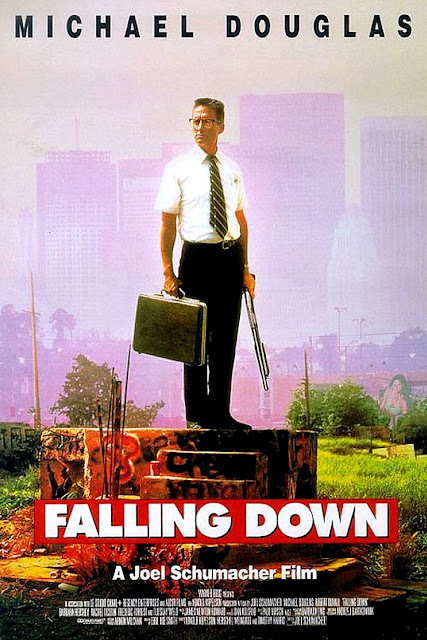 Falling Down (1993) is a film that I've seen numerous times and one that I've always liked a lot. I hadn't seen it for at least 13 years (I started logging my film viewing in 2005). As a character study, it's top notch. Michael Douglas's performance is perfect. As a tense piece of entertainment, it's still really good. It also feels realistic for the most part and seems to want to comment on mental illness, domestic violence, racism, and inequality ("not economically viable") in a broad sort of way. But these days it feels just a bit hollow. How much are we supposed to sympathize with our protagonist, he who terrorizes innocent people due to his own breakdown? Just how bad should we feel for our white middle class hero who goes on a rampage in L.A.? 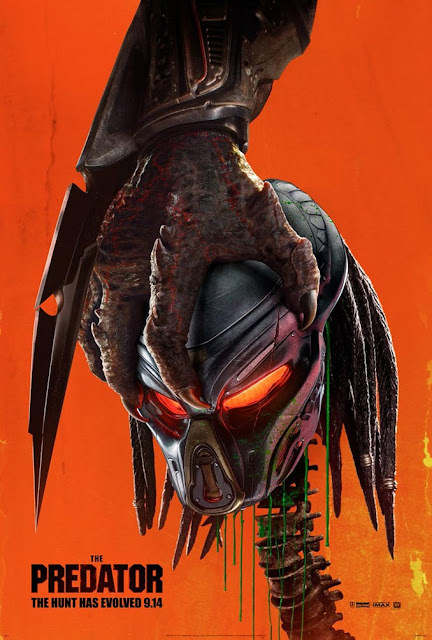 I wasn't expecting a masterpiece from The Predator (2018) but I guess I was hoping it wouldn't be quite so Shane Blackized. By that I mean that all his trademarks are there—the macho humor, sarcastic male camaraderie, the smart/smart aleck child actor, the sassy female—and they just don't work for me in a Predator film (at least not his versions of them). On top of the Black trademarks, there's a whole lot of bad CGI (the Predadogs in particular are terrible), a slapped together script, sloppy editing, mediocre camerawork, action scenes where it's hard to discern what's happening, and characters that somehow magically adapt to everything that happens to them instantly. On Mirah's 6th solo studio (and 10th overall) LP, Understanding, she recorded the skeletons of the tracks whilst in art residencies away from home, later adding flourishes with producer El Crews (of Beulah fame) and Greg Saunier (of Deerhoof fame) back in her home base of NYC. 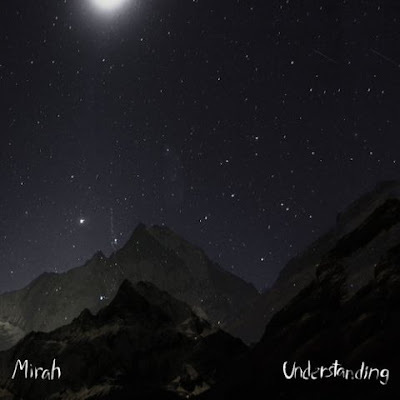 As has always been the case, Mirah draws her lyrical inspiration from love, loss, hope and politics. The songs will feel familiar to those who've followed her musical journey—that of breathy vocals, impassioned cries for peace and harmony, raw and simple guitars, minimal synths and (mostly) gentle percussion. 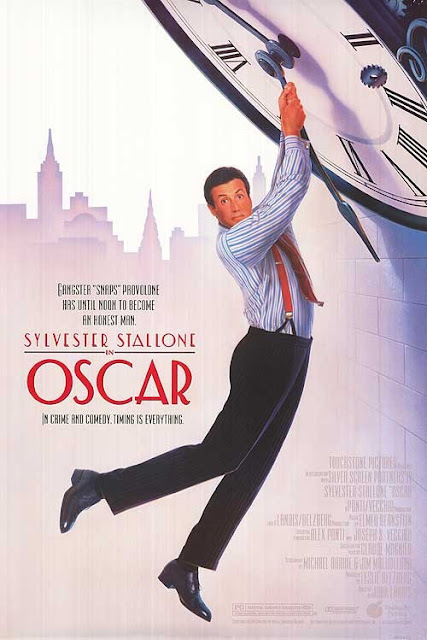 I never saw Oscar(1991) in its original theatrical run nor on home video until today. It's a bit too long and not every joke lands, but overall it's very funny in a very Mel Brooksian way, has an excellent ensemble cast of character actors, wonderful costumes and production design, and solid direction by John Landis. A great light-hearted comedy for any occasion. 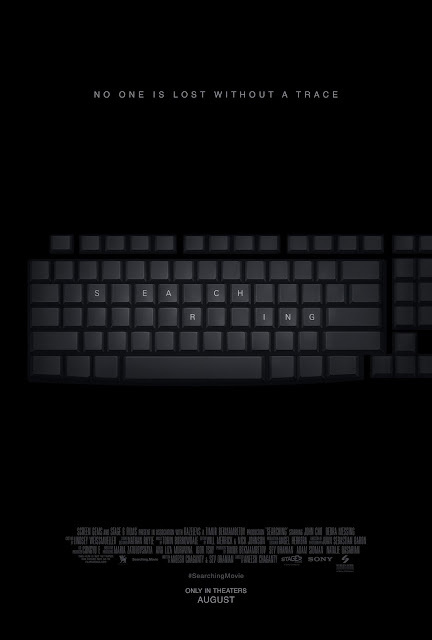 Searching(2018) ingeniously uses technology to present an engaging, tense and realistic mystery/thriller. It feels very much like a movie that Steven Soderbergh would make in this genre—one where the performances, direction, sound design, etc. are up to par with the gimmick (the entire film is presented from the point of view of smartphones, computer screens, captured footage, etc.) and where the gimmick (mostly) never feels "gimmicky". There is a twist that I only had an inkling of and I worry about how well the film will hold up on repeat viewings—once you know the twist and the resolution, will the tension remain? Will the film feel dated in 10 or 20 years? Either way, I'm very intrigued by what director Aneesh Chaganty will deliver for his next film. 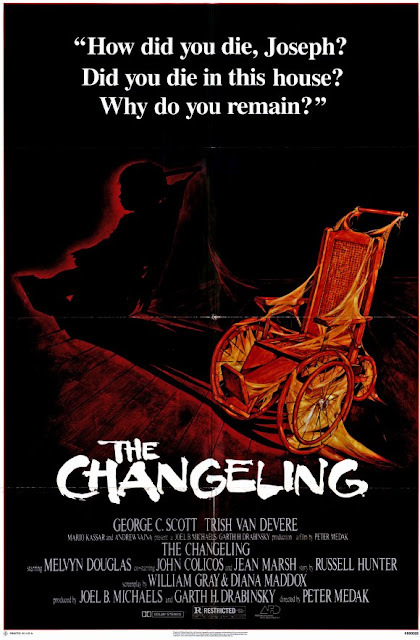 The Changeling (1980) is an incredibly creepy gothic ghost story with an expectedly excellent lead performance by George C. Scott, an appropriately haunting and moody score by Rick Wilkins, strong cinematography by John Coquillon, and classy direction by Peter Medak. For fans of The Innocents (1961), The Haunting (1963), The Omen (1976), and The Amityville Horror (1979).